I can’t think of a better way to start the first weekend of the year than minestrone soup. January is calling for a big warm bowl of minestrone soup with melting parm and a heavy handed drizzle of kale pesto. It told me so! And the best way to get in veggies! Annnnd it tastes like heaven. Soup is my love language. Whether it’s a bowl on its own, served with a salad, bread or a sandwich, I just adore it. 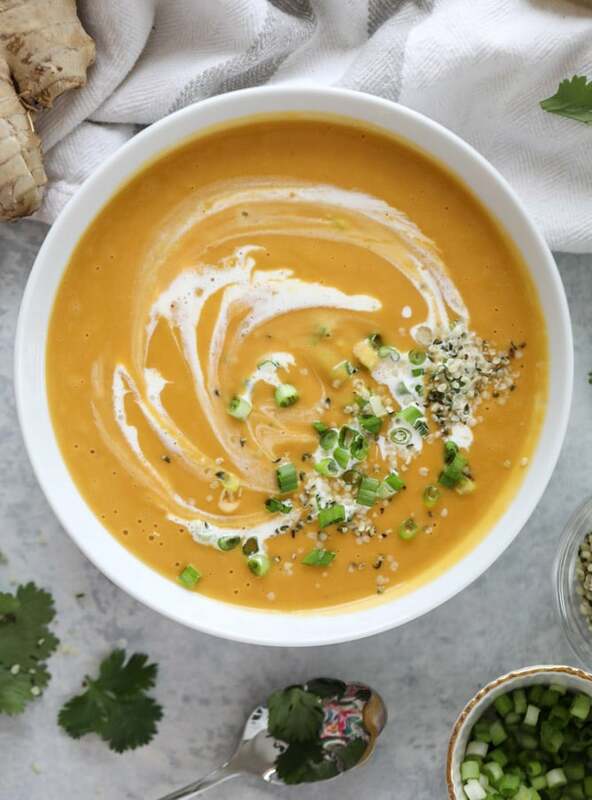 It always fills me up and while I love some of the delicious salads I create to get me out of boring salad jail, warm soup always sounds a little better to me. Emilia fell in love with this recipe which means it is extra special. She ate this so fast that she was crying for more before I could get the second bowl ready. The veggies are so tender and it’s full of so many different flavors and obviously tastes fantastic. So it’s perfect for little babes! My usual food goal at the beginning of every year is to make sure we are always eating things that we love! I am always determined to make sure we take the foods we don’t love and find a way to make them taste great. Except for fennel seeds. That will never happen. 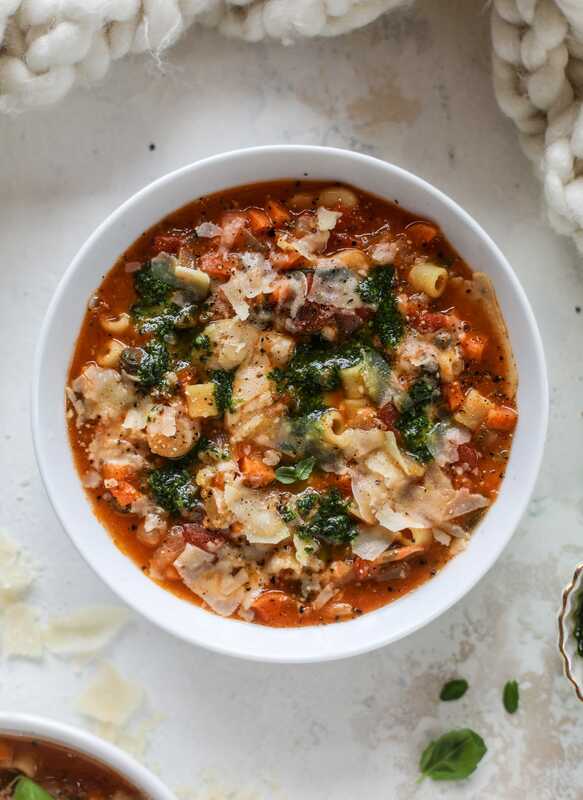 This minestrone soup fits the bill in so many ways. 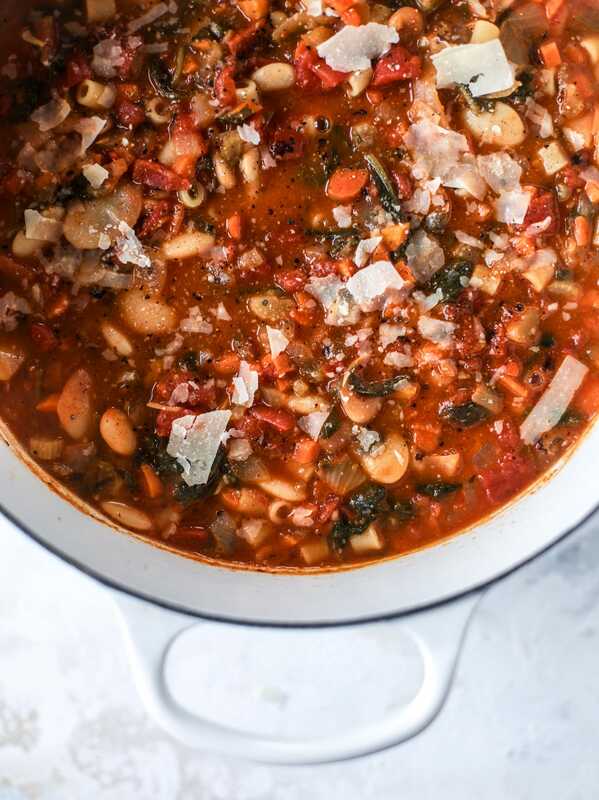 After seeing this recipe, I knew I had to try butter beans in my minestrone. I love the idea of having a big, buttery (pun intended?) bean amidst all the chopped vegetables and smaller bites of pasta. And I love butter beans so much that I knew it would be delish! I was also super drawn to the basil pistou in that recipe and knew that having some sort of topping on my soup would be a game changer. The best ever soup with a drizzle on top is Heidi Swanson’s green lentil soup with curried brown butter. To this day, that is one of my favorite comfort food recipes! Ever since discovering it? 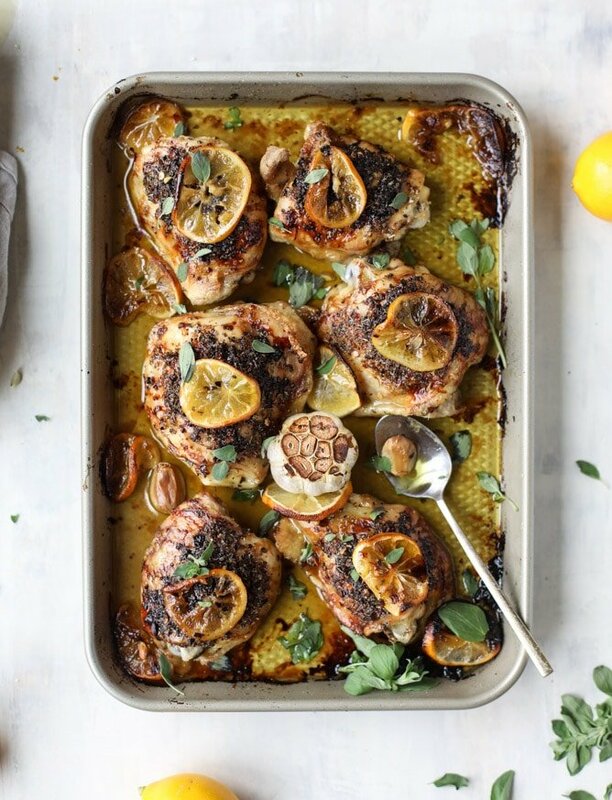 It’s always on my list of favorite weeknight recipes. Another one is this pasta and chickpeas situation (that I use for the base of homemade spaghettios!) with the garlic oil drizzle. That drizzle makes the flavor shine so much. And of course, I have to use my favorite fire-roasted tomatoes to make this minestrone! That’s a given. Totally predictable. But the best part? It really is the kale pesto on top. I have a kale pesto recipe in Seriously Delish and I tend to utilize it more in the winter months since great herbs aren’t as easily accessible. I still use fresh herbs in this pesto, but the kale also gives it that greens punch, so it’s like we’re adding a big dollop of health right on to our soup. The kale pesto combined with the handfuls of spinach I tossed into the minestrone? Um hello. This is my new favorite way to eat vegetables. I make a full batch of the pesto. This way, I can always freeze leftovers and use it in other recipes during the week too, whether it’s pasta or salads or sandwiches. My favorite use is the drizzle on the soup, however. 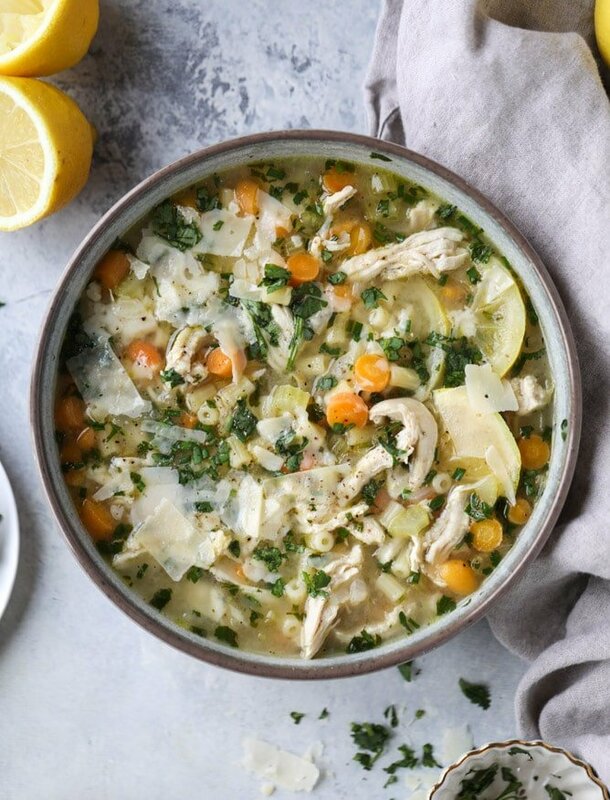 It will change your soup game! I swear. My last requirement for minestrone is a bunch of freshly shaved parm grated right on top. Of course, I throw a parmesan rind in when I have one. But having it on top add this delicious sharp flavor that adds so much. It also adds a touch of richness. Really. Is there anything better than this?! 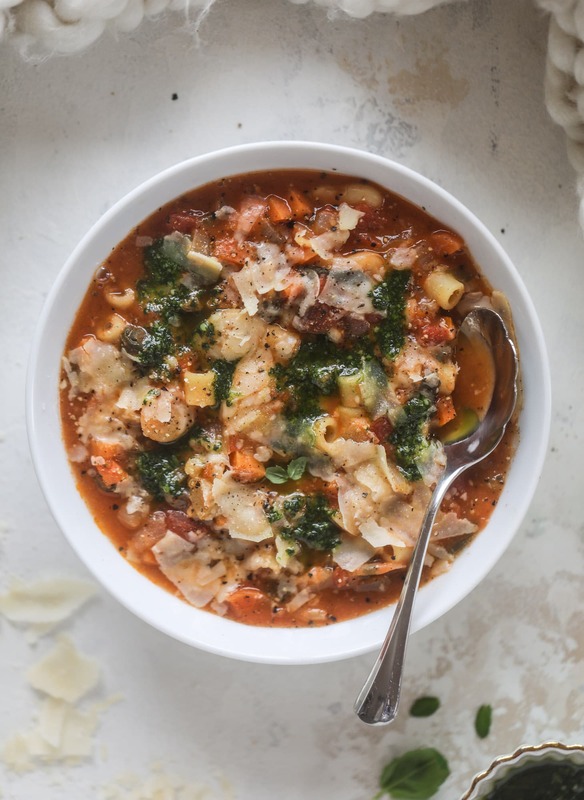 This fire roasted minestrone soup is like a huge in a bowl. 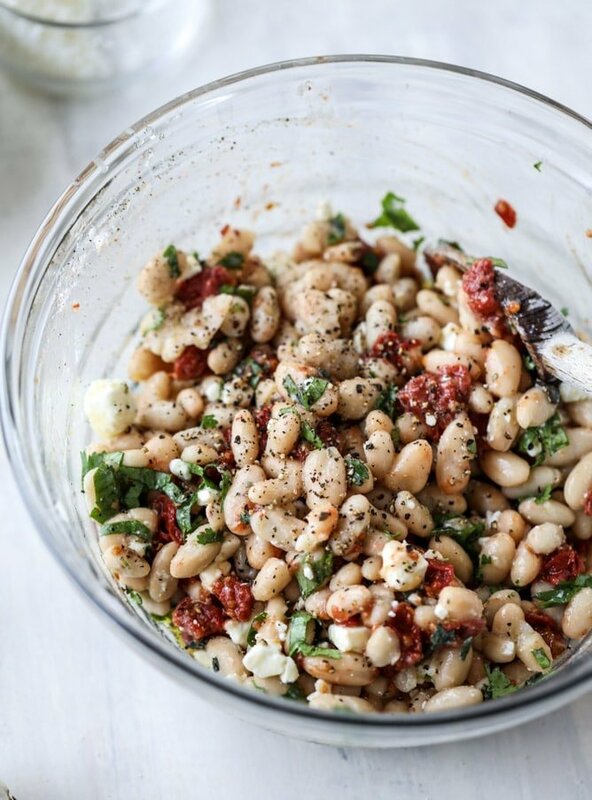 Chock full of vegetables, fire roasted tomatoes and butter beans, the bowl is topped off with a delicious kale pesto that adds even more flavor. 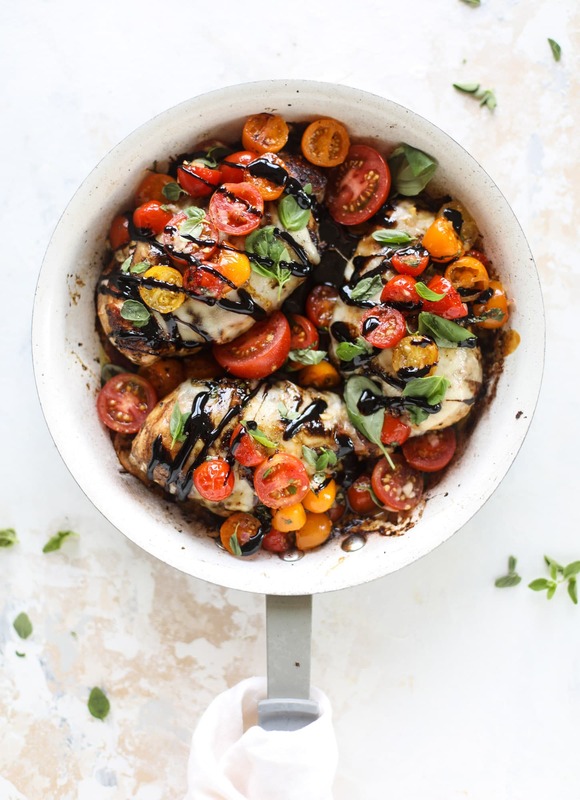 Satisfying, healthy and perfect for dinner! Heat a large stock pot over medium-low heat and add the olive oil. Add in the onions and garlic with the salt and pepper and stir. Cook until the onions are translucent, about 5 to 6 minutes. Add in the carrots and celery, cooking for 5 minutes more. Add in the parmesan rind, beans, tomatoes, stock, basil and oregano and stir. Bring the mixture to a boil. Reduce it to a simmer and cook for 20 minutes. After 20 minutes, add in the ditalini pasta. Cook for 10 to 12 minutes, stirring occasionally, until the pasta is cooked through. Toss in the fresh spinach. Serve the soup with a few drizzles of the kale pesto and freshly shaved parmesan. Place the kale, herbs, garlic, cheese, pistachios, salt and pepper in a food processor. Pulse until combined and small pieces remain. Stream in the olive oil with the processor running until the mixture comes together. You can always add in more olive oil if you want the pesto thinner. I can’t even express my love for this bowl right here. 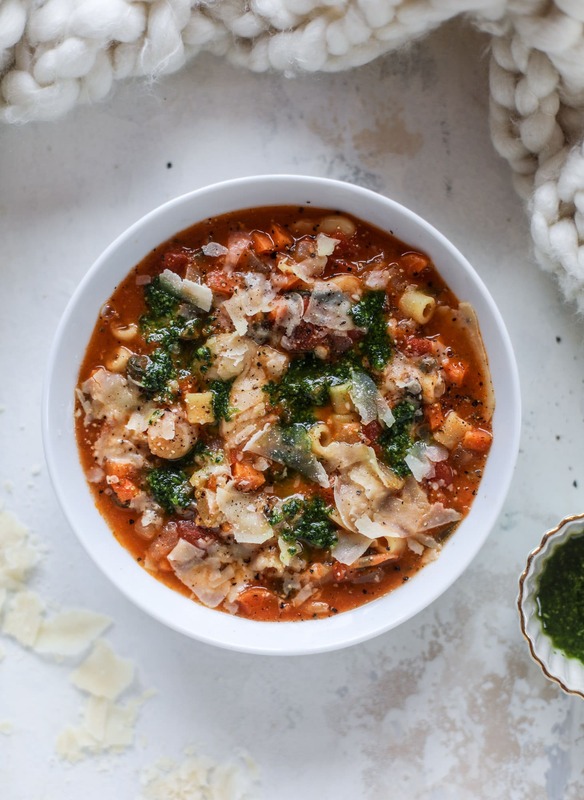 The post Fire-Roasted Minestrone with Kale Pesto. appeared first on How Sweet Eats. My 2019 Winter Reading List. While this list isn’t as extensive as my summer reading list tends to be, there are still so many good ones on here. Over the last few weeks I’ve sprinkled some of these books that I’m reading into my Tuesday Things posts, but wanted to compile a huge list! I am so glad that you guys wanted to see this list because it really inspired me to add some extras to my must-read pile. And I also realized in doing my research that most of the books I read have been picks in Reese Witherspoon’s book club! I guess I should join that? Ha! In an effort to stay off of social media and stuff before bed, I’ve been reading so much more and getting through some of these great stories. Let me know what you have read lately below. Or what books are on your current list! This Is How It Always Is. Next on my list! I can’t wait to get into this one. Becoming. Read it. Adored it! I love love love books written by our first ladies. Every Breath. I haven’t felt drawn to a Nicholas Sparks novel in years, but this one is calling my name. Bring Me Back. I’ve been intrigued by the write up of this on amazon for weeks! You Think It, I’ll Say It. I’ve wanted to read this one for a few months too. Nine Perfect Strangers. Hoping this is as great as some of her other books. Verity. I adore everything that Colleen Hoover writes! The Library Book. Super interested in this one. I’m already sucked in. Winter in Paradise. Loved it, as usual. One Day in December. Just finished this, it was so, so good. 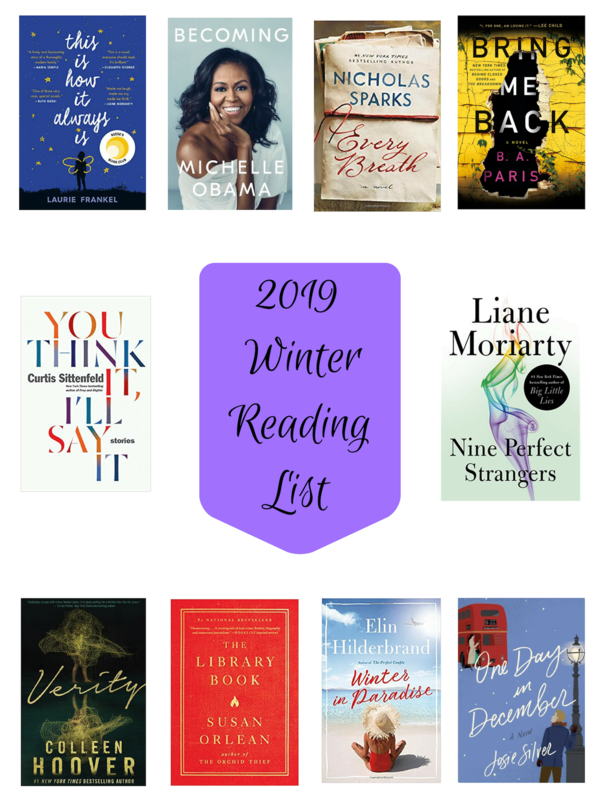 The post My 2019 Winter Reading List. appeared first on How Sweet Eats. Hiiii! Hello! Happy New Year! I have all of the weeknight meal ideas you need. This is one of my favorite posts to share every year… and it’s for selfish reasons. This post helps me out with meal planning SO MUCH throughout the year! One of my goals every week is to plan our meals as much as I can. I want weeknight meal ideas to be easy. This wasn’t quite a priority before I had kids, but now, it makes life so much easier and assures that we are getting some great meals in. I also want to set examples for these little mouths I’m feeding now. I want the kids to enjoy vegetables, I want them to expect all sorts of different foods at our table and I want them to get used to us eating dinner as a family. It doesn’t always happen right now, but we try as much as we can! Weeknight meal ideas will be different for everyone, but I’ve included all sorts of suggestions below, from vegetarian meals, to ones that even include a little bacon! Take these ideas and put your own spin on them. Make them your own. I’ve mentioned before that in my perfect week, planning and shopping for about three meals works best for us. This way, we don’t get sick of our menu, we always end up with leftovers (but not too many leftovers), it allows for a night or two of eating out on the fly, whether it’s both of us or one of us for work. And it may even allow one night of breakfast for dinner, which we all adore. The post 20 Weeks of Healthier Meal Ideas! 140 of my Favorite Weeknight Meals. appeared first on How Sweet Eats. I’m here with lunch ideas for your 2019! I mean, what the heck should we eat for lunch? These are all lunch ideas that you can make and prep ahead of time. Woohoo! While I’m all about having a fried egg for lunch or topping my avocado toast with a fried egg or grilling and roasting some vegetables for lunch, when you work out of the home that just isn’t feasible. These are all dishes that you can make or prep ahead of time and ones that will taste great come lunch time. That’s the biggest thing for me. No matter how fantastic the salad was that I would make for lunch when I sat behind a desk, whether it had croutons or last night’s chicken on top, it still tasted like a sad desk lunch and I just wanted something more delicious. 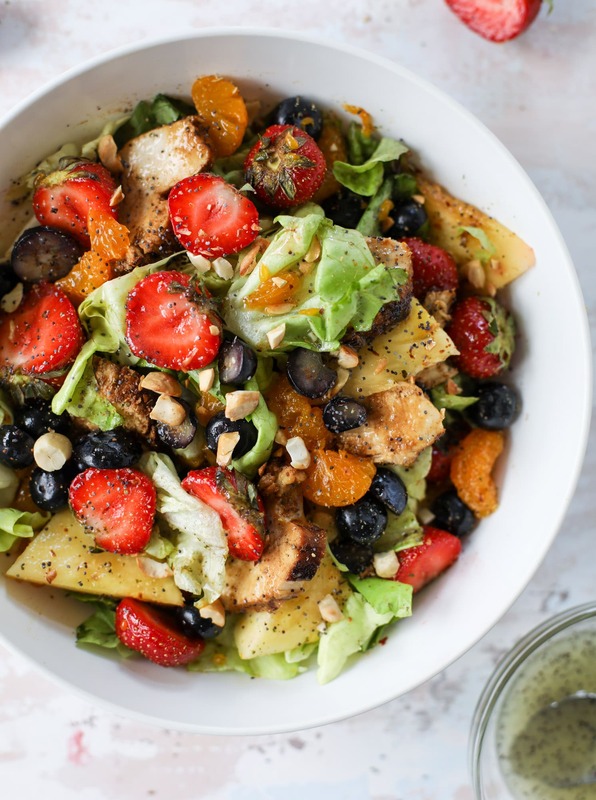 Now I am sharing a bunch of my favorite substantial salads below, but there are a ton of other lunch ideas here that range from soups to bowls to full blown meals! There are lunch ideas below that may take a few minutes to throw together once lunchtime comes (i.e. 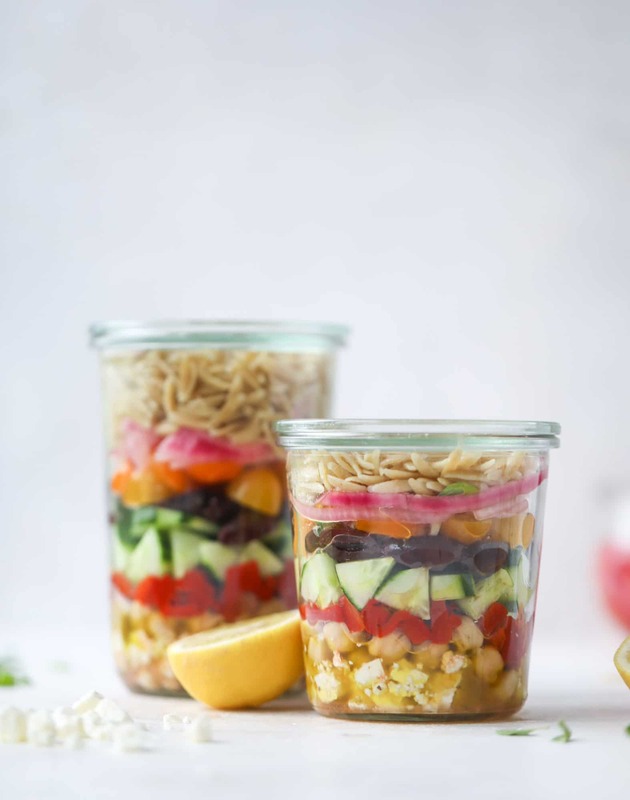 slicing a tomato or a hard-boiled egg, assembling a lettuce wrap, etc), but the idea is that you can actually prep the ingredients ahead of time to make your lunch WORTH IT. There are lunch ideas that can be made completely ahead of time and reheated. I’ve found that for me, the secret is having a lunch made that I really love, even if it takes some prep time the Sunday before. These recipes are some of my most-lunched recipes on the blog. They are my favorites, the ones I eat frequently or that you guys tell me you’re loving. Most of these salads can be prepped the night before, and if they don’t have a protein, add one of your choice if desired. A few of them, like the greek salads and chickpea salad, get more delicious as they sit. All of these soups are delicious if you make them a day or so ahead of time. For the soups with pasta, you can always cook it separately and add it the morning of or right before eating so it doesn’t soak up too much liquid. I like preparing a soup for lunches, and freezing half of it. That way lunch will already be prepared in a few weeks/months or you can even have it for dinner at some point. Of course, I use the term “meals” loosely here, because everyone’s idea of a meal is subjective! These meals have a little more substance. They feel more like actual MEALS than lunches, if that makes sense. They are served hot, they aren’t a cold bowl of salad. And if you’re anything like Eddie, that is what he loves – lunch that tastes and satisfies like dinner. These are some of my favorites that can be made a day or two ahead of time! If you prefer leftovers for lunch, these are for you. 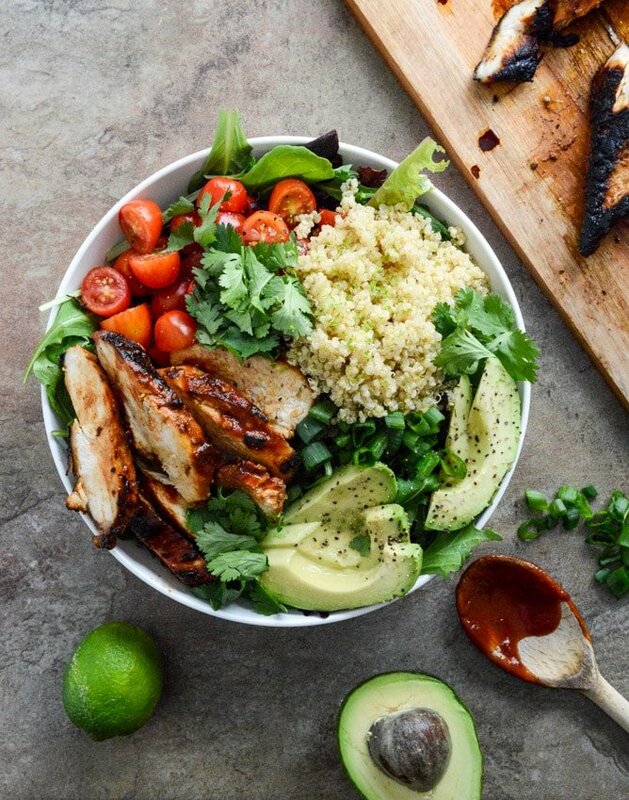 I’d love to hear some of your favorite lunch ideas below! Even though I work from home, work in my kitchen and cook most days of the week, I still struggle with lunch ideas myself. Tell me your favorites! And tomorrow I’ll be sharing my favorite dinner ideas as I do every year, but you can also find 100 ideas on my instagram highlights! 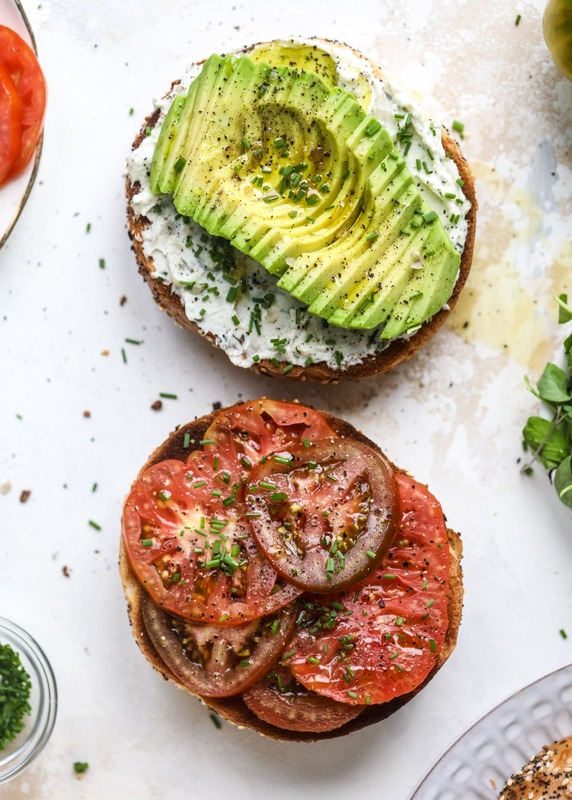 The post 45 Lunch Ideas for 2019. appeared first on How Sweet Eats. Sharing some magic moments from our Christmas break! It’s so tricky getting photos of both kids these days, not to mention a good one of the four of us. Max loves riding the train at the mall like it’s 1988! A few days before Christmas I used this method for decorating our sugar cookies. What a hit! How gorgeous is the decor at the Fairmont this year? I was a little partial to last year’s neon colors, but this is so pretty! And speaking of gorgeous, my mom’s tree is amazing. Always. Little babes that need some bribery for smiles! Lacy + my brother Will, our annual Max + his godparents pic! My aunt also has a gorgeous tree and village. So pretty! The hit of the toys this year was the Melissa and Doug One Stop Shop… except Max just wanted to play with all of Emilia’s toys too. My little golden girl! I love that she looks like an 87 years old baby. Everyone had to have yogi’s before dinner on Christmas day. Survival mode. More of my mom’s decor! So pretty. Emilia finally has teeth and loves showing them off. We had the most fun! It has been a long break but felt quick at the same time. I get the blues big time once Christmas is over. I love the twinkly lights and how everything feels so warm and charming. The post Christmas Break 2018: a Photo Diary. appeared first on How Sweet Eats. The post 2018. appeared first on How Sweet Eats. How is it already the end of December?! I’m sharing the top ten things I loved this month below. Tell me in the comments what you’re loving! Raincoast Cheese Crisps. I don’t know if the cheese crisps are a new thing, but this version with cheddar and harissa is what we snacked on multiple times over Christmas break. They are so good! One Day in December by Josie Silver. This is the book I’ve read over the holidays and oh my gosh, it was SO good. I couldn’t put it down, and found myself in one of those it’s-3am-and-I-can’t-stop-reading spirals. Loved this book! American Spoon Holiday Jam. Apparently I’ve been living a rock because when I discovered that American Spoon has holiday limited releases, I just about died. I bought six jars of the holiday jam for gifts and it has been such a hit. On Christmas Day, my mom served it over brie and it was delicious with the perfect amount of holiday spice. I definitely like it more for dishes like that (brie, cheeseboard, etc) than eating it on toast or on a PB & J. Super good. Sorel Joan or Arctic Wedge Boot. If you follow my favorites then you know that for the last two years I’ve been obsessed with these boots. I had them in the black + taupe color and wanted the full black but every year, they sold out quickly. This year, I got them on black Friday and am so excited I found them. The tread on the boots is great for rain, ice and snow, but the wedge still gives you height. Also bought these for two people as Christmas gifts this year. They are the best! Sam Edelman Yal Sandal. I’m a huge fan of Sam Edelman shoes because of the comfort. They are by far some of the most comfortable pumps/sandals (if not the most!) that I own. I wore these shoes on Christmas Eve with a red dress and not only are they comfortable, but they are so fun. They would be perfect for NYE too (not in my case, since I’ll be at my house, haha) and any other fun occasion! 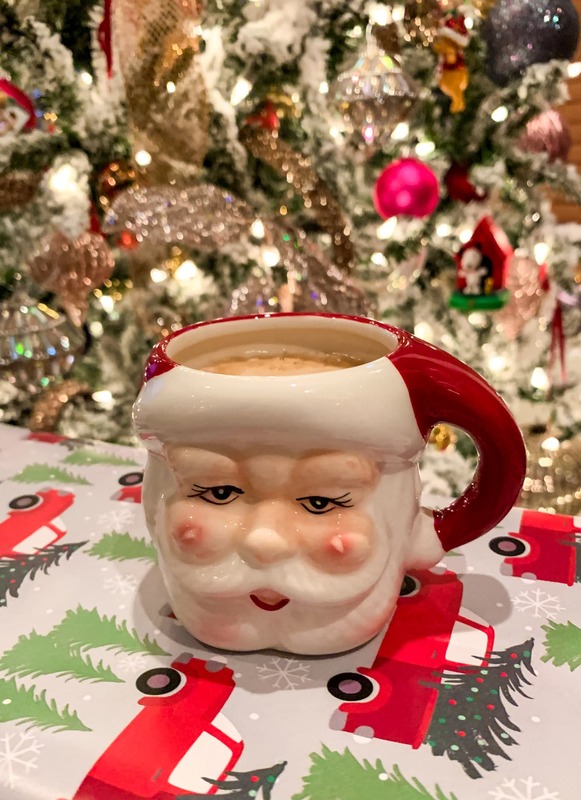 Pottery Barn Santa Figure Mugs. This four set of mugs is one of my favorite things to bring out each season. They are such a nice size – meaning they are actually rather small. I don’t think they would fit an 8-ounce cup of coffee, or maybe they *just* would. They are super cute when they are displayed and everyone asks about them! I love the retro feel; they remind me of something my grandma would have. Covermates Ornament Storage Bags. This might be a ridiculous “okay-I’m-an-adult” favorite, but I have to mention it. Three years ago, I bought one of these bags to store ornaments after years of just storing them in bulky boxes that started falling apart. These bags are amazing. Not only do they keep glass ornaments save, they cut down on storage and hold a TON of ornaments. I bought one more this year because I still had a few stragglers in boxes. They make decorating and undecorating the tree so much easier. Fire Brew Apple Cider Immune Booster. I mentioned this last month but oh man, it’s come into play all month long. Eddie is super sick right now, as are both kids and I’ve managed to avoid it – I swear it has something to do with me throwing back shots of this daily. It is a tough swallow (literally, I’d probably rather do a shot of tequila) but I’m convinced it works. Nordstrom Moonlight Pajamas. So I’ve raved about these PJs for years, but usually talk about the ones with the button front. I loathe button front pajamas (they are SO uncomfortable to me!) but the Nordstrom ones are so soft that I’ve always made an exception, and they are what I lived in after having both kids. I was super excited to see this year they came out with a version without buttons!! They are the exact same pajamas but even MORE comfortable, if that’s possible. The Peloton Bike!! Okay, so I’ve only had this since the 22nd, so it might be a little iffy that I’m putting it in my favorites. But I can assure you that it IS a favorite! We got it (for ourselves…) for Christmas and it was the best purchase ever. I’ve already done five rides and love it so much! I’ve been doing random rides since we’ve had a busy two weeks, but I’d love to hear if you have any favorite instructors below! The post December Favorites: Lifestyle. appeared first on How Sweet Eats. 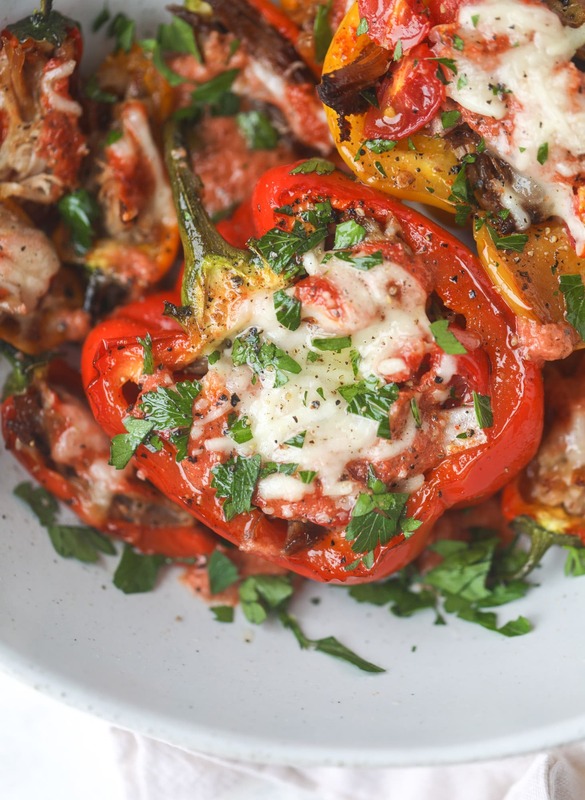 Pulled pork stuffed peppers might be our new favorite dinner!! You guys. These are SO flavorful. Super easy, if you have leftover pulled pork. Perfect to make for a crowd or just dinner for a few. Great to prep ahead of time, very customizable, super satisfying and delicious. What else do we even need?! They are definitely going in our dinner rotation. I am not sure why I never thought to stuff peppers with pulled pork before and I’m kicking myself for waiting so long. Are you someone who believes in the magic and good luck of pulled pork for the new year? I’m not really a believer… but I’m a huge believer in pork so that counts. It’s my favorite cut of meat by far. Obviously. I find that this recipe works best with leftover pulled pork. Not because of the flavor or anything, but because pulled pork takes such a long time to cook and I wouldn’t make it JUST for this recipe. If you have leftover pulled pork, you’re more than half way there. And I wanted some sort of sauce to make these more flavorful – and they were calling for something other than plain pork placed in a sliced pepper. So into the blender went my favorite fire roasted tomatoes and I created a sauce from that. It was freaking fantastic. Not only did I want to eat the sauce with a spoon, it added SO much to the pepper. 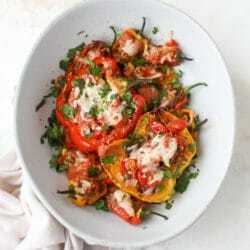 If you end up with a bit of leftover sauce, you could also spread it in a baking dish and bake the peppers IN the sauce. Um yes. How good does that sound!? 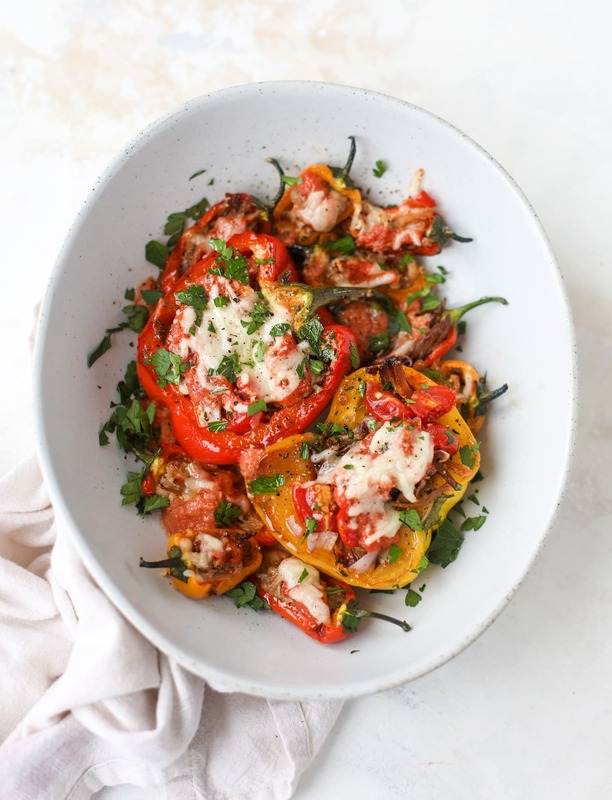 Now the best part about these is that you can use the mini peppers and stuff them for an appetizer, or you can use regular bell peppers and stuff those for dinner! Cutest and most festive too! 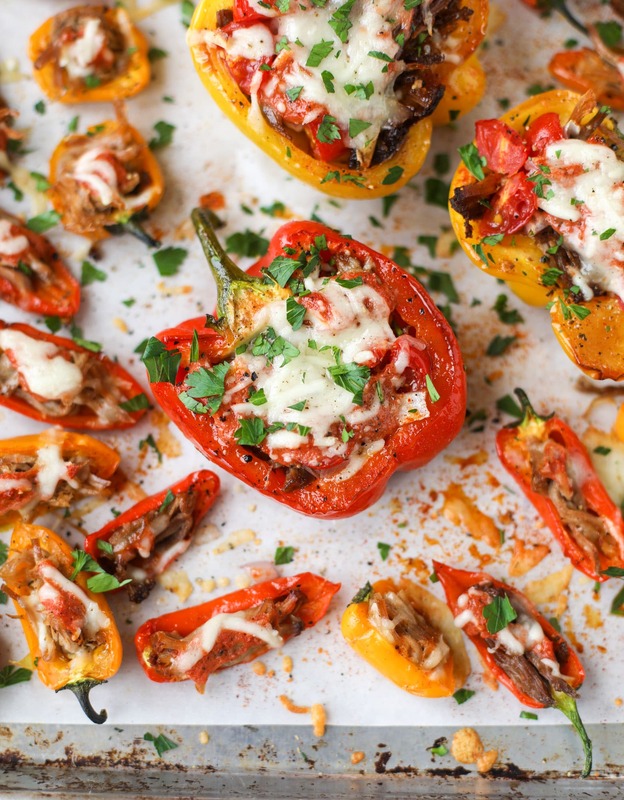 These pulled pork stuffed peppers are a delicious dinner idea for any weeknight! 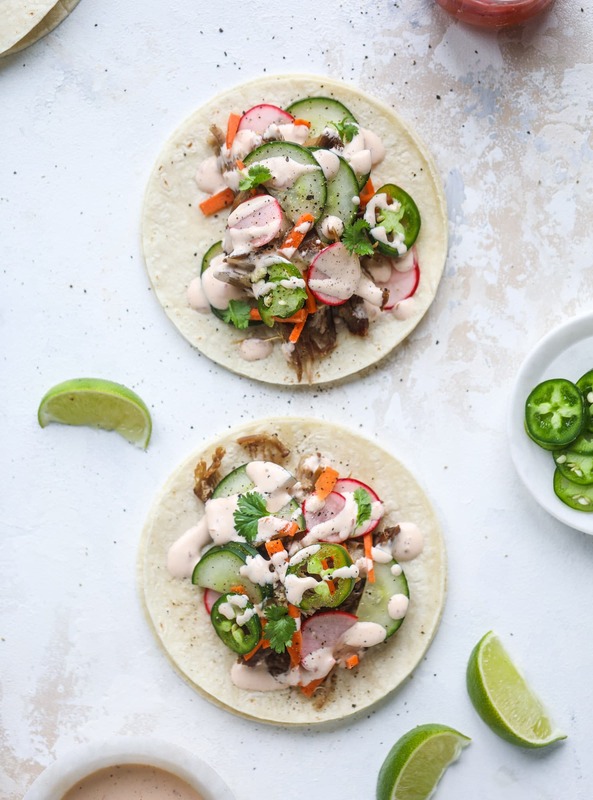 They work great with leftover pulled pork and the filling is totally customizable. They are flavorful, come together quickly and always a crowd pleaser! As a note, I almost always make pulled pork in my slow cooker! I season the pork with salt and pepper, sear it on all sides until brown, then cook it on low with ½ cup of beer or so for about 8 to 12 hours. You can see my exact recipe here. Remove the seeds and inside stems of the peppers. 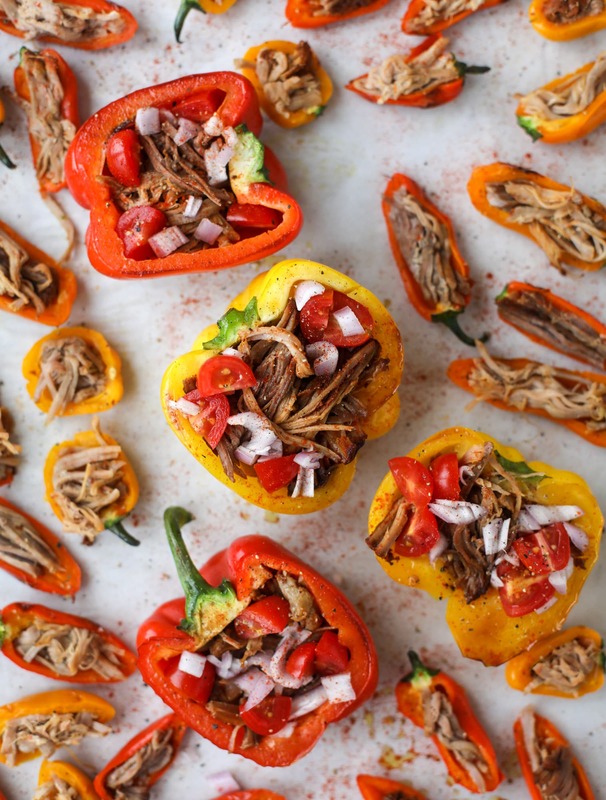 Fill the peppers with 1/3 to ½ cup pulled pork (or as much as you wish!). Sprinkle on some of the tomatoes and diced onion. 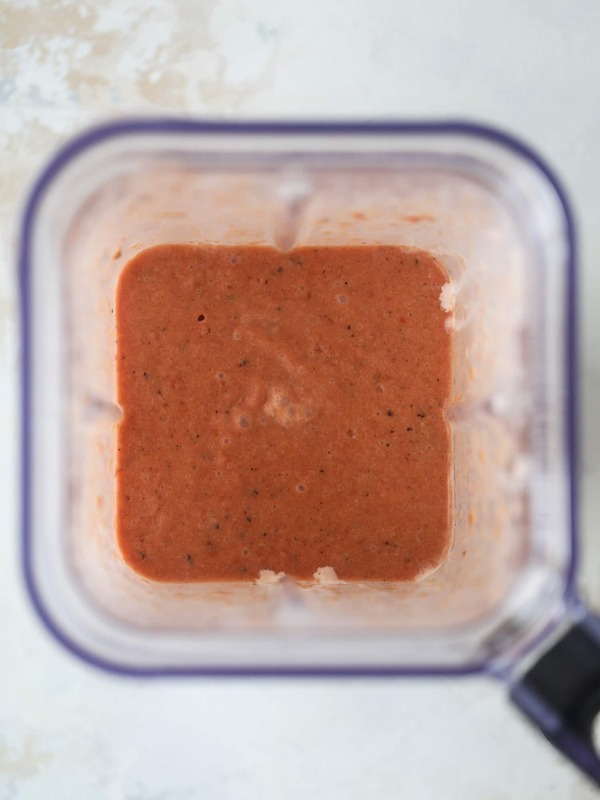 Place the tomatoes in a blender and puree until smooth. Blend in the cream, sugar, garlic, basil, salt and pepper until combined. Spoon the mixture over top of the pork in the pepper. Sprinkle on the cheese. 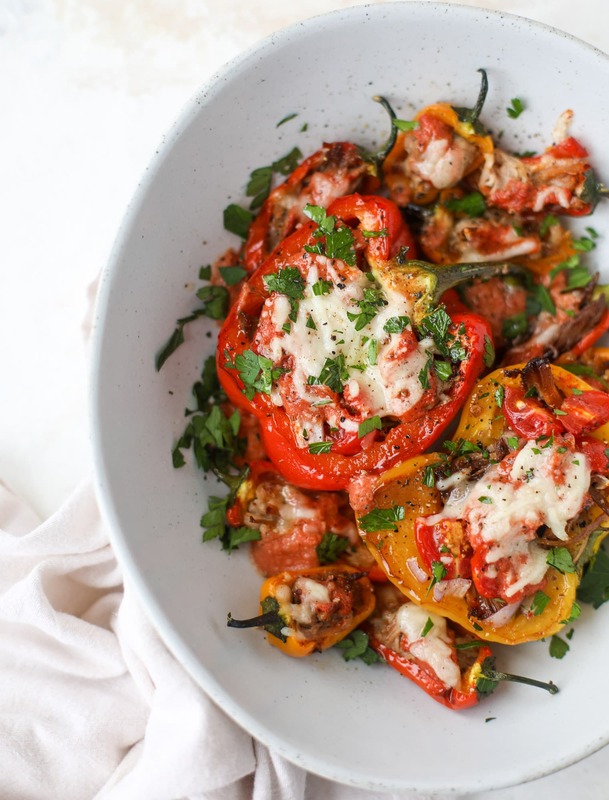 Bake the peppers for 20 to 25 minutes, or until the cheese is golden and bubbly. Sprinkle of fresh parsley (or your favorite herb!) and serve immediately. 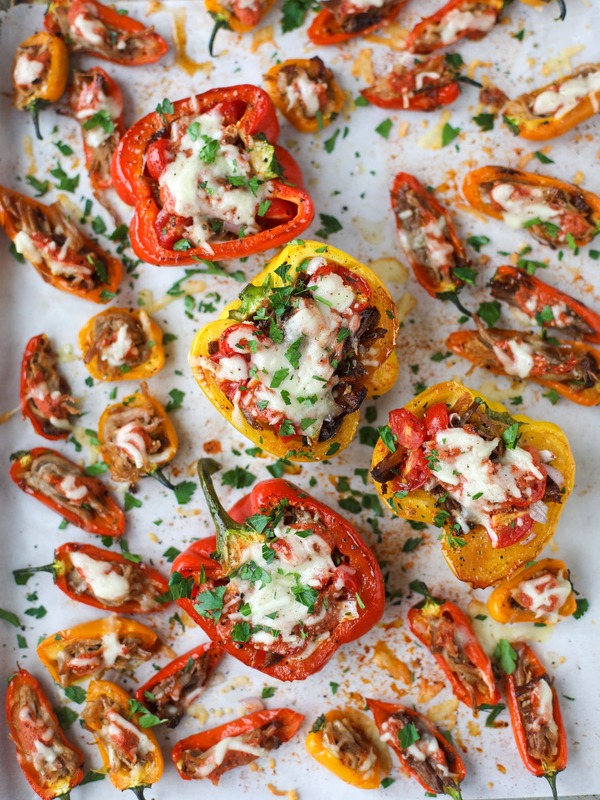 You can do this with the mini snacking peppers too! I do the exact same thing, the portions you add into the pepper are just smaller. You can bake for less time too – more like 15ish minutes. 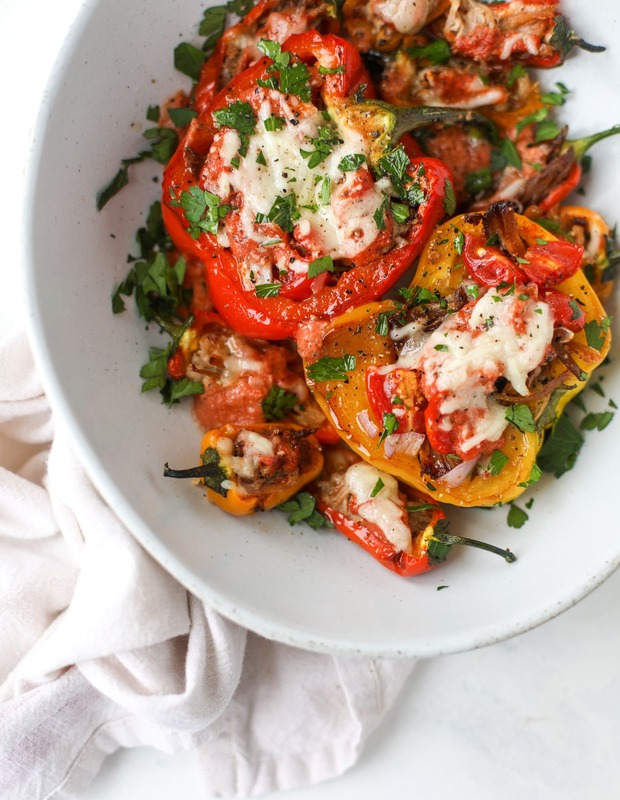 Melty cheese and caramelized peppers are all I want in life right now. The post Fire Roasted Pulled Pork Stuffed Peppers. appeared first on How Sweet Eats. As we reach the end of 2018, I’m sharing the best beauty finds I’ve made this year! I haven’t used anything particularly new this month (aside from this Jouer palette which I absolutely LOVE!) so I figured I’d switch it up here and tell you about my top ten beauty finds this year. Things I discovered and love and can’t imagine my beauty routine without. Dr. Dennis Gross Daily Peel Pads. While these are in no particular order, this is by far my most used, loved and can’t-live-without product of 2018. I am so glad I discovered these! They have improved brightness and texture in my skin so much. I can’t even explain how much I love them. Milk Makeup Eye Pigment. Since grabbing one of these in Chicago on my book tour, I have practically used nothing else on my eyes. I always use this during the week as my minimal makeup and I often use it under more dramatic eye looks. I love that the color can be built up or sheered out. These are so amazing. Le Volume de Chanel Mascara. Bought on a whim during Nordstrom’s mascara madness sale early this year, I never expected (or wanted to) fall in love with this mascara. But I’ve used nothing else since and it remains my current favorite! RMS Magic Luminizer. Coming in at a very close second to my absolute favorite product of the year, this is GOLD. I use this every single day. Technically, I bought it at the end of last year but it has been such a staple in my routine that I couldn’t not mention it. It gives such a natural glow. Dr Jart Cicapair Color Correcting Treatment. If you have any redness or uneven tone on your face, you will be shocked at what a difference this makes. I don’t use it every single day, but occasionally I use this on its own and I use it as a primer on days when I want/need more makeup. It makes your skin tone SO even – you will actually be shocked at the result. Too Faced Born This Way Concealer. This is a fairly new find but a fantastic one, nonetheless. It has completely replaced Tarte Shape Tape for me. It’s more moisturizing, is a better color fit and goes on more smoothly under the eyes. Charlotte Tilbury Hollywood Flawless Filter. Another product I use almost daily – for the glow and gorgeous effect it gives the skin. I either mix this in with tinted moisturizer or I put it all over my face first before applying a slightly heavier BB cream. It’s so gorgeous. Fresh Rice Sake Bath. I’m super nervous that this might be discontinued since it’s sold out everywhere, but in the case that it’s not, I had to mention it! This made baths life-changing for me. I have never used a bath product so intensely relaxing. It’s like the moment I sit in a bath using this, I feel any anxiety or tension melt away. Redken Hot Sets 22 Thermal Setting Mist. I’ve been using this since early 2018 – it’s a heat protectant, but also adds MAJOR hold to your hair without giving it that hairspray-crisp vibe. You know? I only use it when curling my hair with a wand, iron or hot rollers, but it works great. Tom Ford Soleil Blanc. I love so many perfumes, but this was my most worn in 2018 and one I can’t stop thinking about! I set it aside come fall to wear some of my warmer, heavier scents and I can’t wait to start using it again. It’s such a lovely scent! The post December Favorites: My Top Ten Beauty Finds of 2018. appeared first on How Sweet Eats. Can you BELIEVE it is almost 2019? This is insanity. I cannot believe it! Today I’m sharing alllll the snacks and cocktails that you need for the rest of the holiday season. And they are my absolute faves! So first! A little bit of cocktail news. After yearssss of sharing a cocktail every single Thursday, my brain is officially fried from ideas. I mean, I still have a lot of ideas that sound great, but not enough to share one every single week. You know? At least not at the moment! 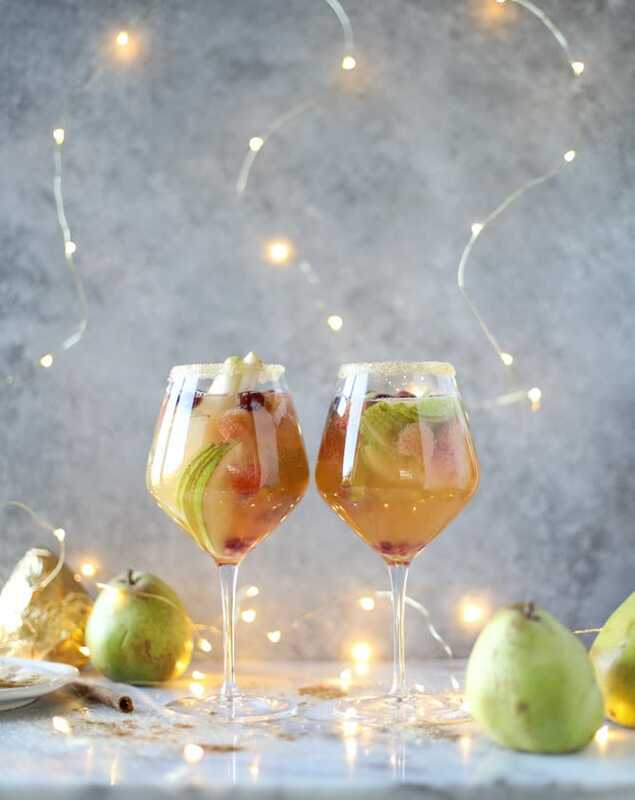 In 2019 I won’t be sharing a weekly cocktail, but I will still share the occasional fun and seasonal drink if I have a delish one to share. Otherwise, you can rest easy knowing that I have over 120 cocktails here for every reason and every season! No need to worry. Now let’s chat NYE parties, okay? Mine will consist of my family at my house. On the couch with blankets and cuddled up. I CAN’T WAIT. But if you have bigger plans, here are some fantastic ideas! Most importantly, we should all go make rosé gummy bears right this instant. The ricotta jam jar has been the HIT of 2018 in my family. You can use all homemade ingredients or buy the majority and either way, it turns out DELISH. My to-die-for hummus trio is perfectly customizable. SO good. Salted honey lavender nuts, anyone? This year, I updated my mom’s old-school veggie pizza. Very into this. And who can say no to crispy carnitas guac?! Toasted sesame sriracha deviled eggs and surprisingly addictive. This greek marinated flank steak platter is an amazing app – or dinner! Champagne caramel popcorn makes me so happy. Obviously, a cheese board is a must. A few of my favorite cocktails for the New Year? I’ve gotcha covered! 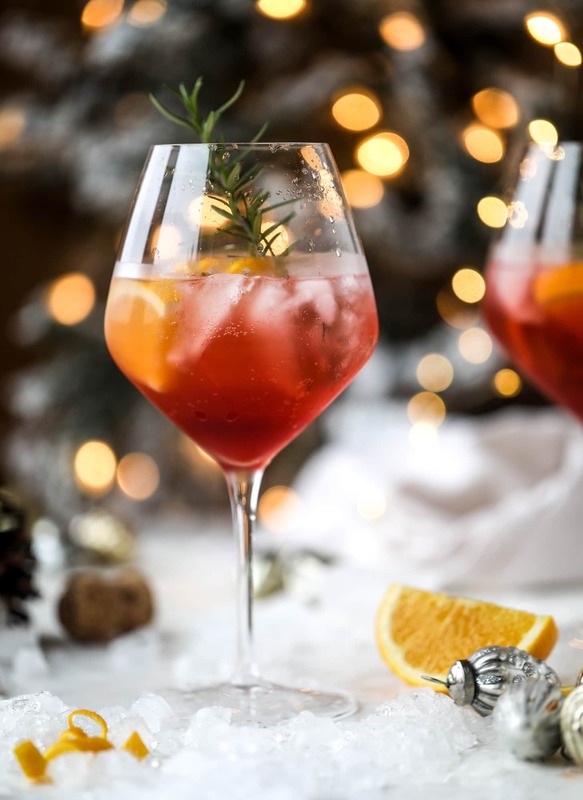 This winter aperol spritz has been on repeat this year. REPEAT. I’m ridiculously excited to make orange crushes now that prime citrus season is here! Kombucha sangria is fantastic too. And I loooove these pomegranate cider mimosas. Great idea for the end of apple cider season! Sorbet prosecco floats are always a party fave! And 3 ingredient espresso martinis? Um, hello. We’re staying up late! We need this! And blood orange margaritas!? Be still my heart! The best of the best of citrus season is here. So what is on your menu for the rest of 2018?! 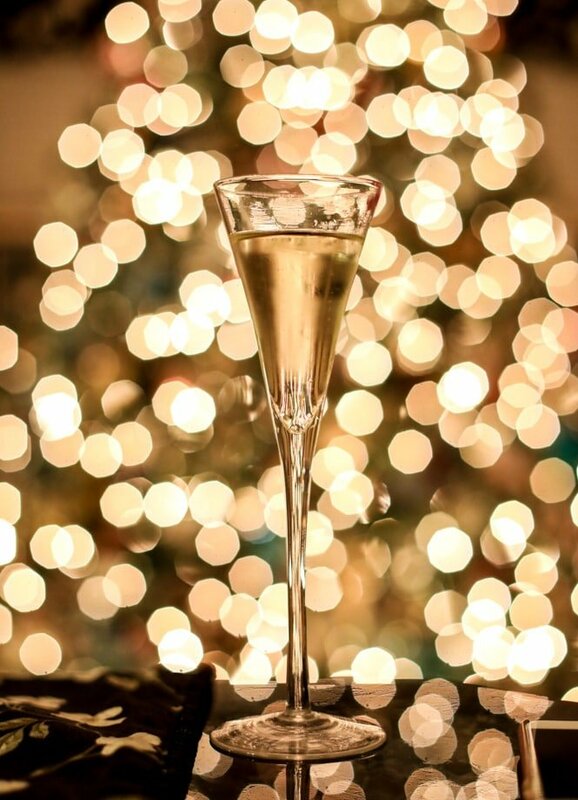 How will you be ringing in the new year? Tomorrow I’ll be sharing my an incredible pulled pork recipe for New Year’s Eve/Day – it might be one of my favorite recipes of the YEAR! It is so, so good. The post All the Snacks and Cocktails You Need For New Year’s Eve! appeared first on How Sweet Eats.